SEOUL, South Korea — South Korea said Saturday that the United Nations Security Council granted an exemption to sanctions that will allow surveys on North Korean railroad sections the Koreas want to connect with the South. The surveys would require the South to bring to the North fuel and a variety of goods, including possibly cars to test on northern tracks. 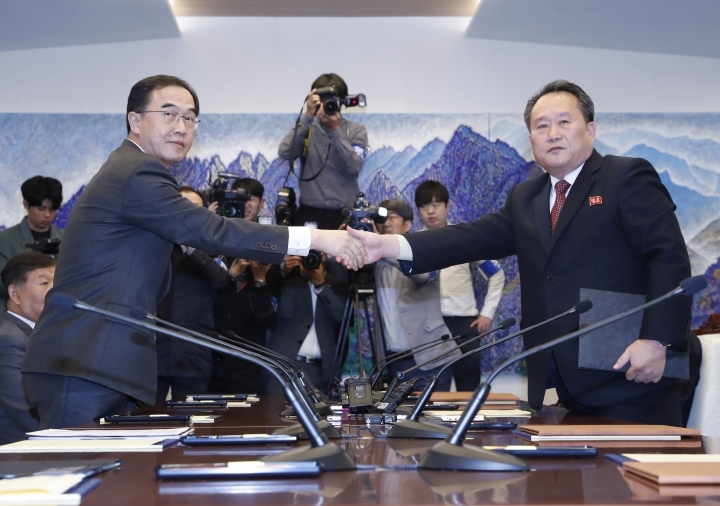 The Koreas plan to hold a groundbreaking ceremony by the end of the year on an ambitious project to connect their railways and roads as agreed by their leaders. But beyond surveys and tape-cuttings, they cannot move much further along without the lifting of U.S.-led sanctions against North Korea, which isn't likely before Pyongyang takes firmer steps toward relinquishing its nuclear weapons and missiles. The plan to modernize North Korea's outdated railways and roads and reconnect them with the South was among many agreements reached between North Korean leader Kim Jong Un and South Korean President Moon Jae-in, who met three times this year amid a diplomatic push that eased tensions over the North's nuclear program. Kim also met with President Donald Trump in Singapore in June, when they issued a statement about a nuclear-free Korean Peninsula without describing how and when it would occur. South Korea initially said that the joint surveys of North Korean railroads wouldn't violate U.N. sanctions and had hoped to start them in October. Seoul later said that Washington had different views and the two sides had discussed the matter in a newly launched working group. U.N. sanctions against North Korea have strengthened significantly since 2016 as Pyongyang stepped up its weapons tests. The measures now include trade bans on "dual-use" technology that could potentially be used for weapons development, transport vehicles and machinery and import caps on fuel. Washington's own sanctions against Pyongyang restrict an even broader range of economic activities and target a larger list of companies and individuals.